Homeownership has long been touted as a key contributor to personal wealth. Indeed, over time there can be great benefit to investing in real estate and owning a primary residence. 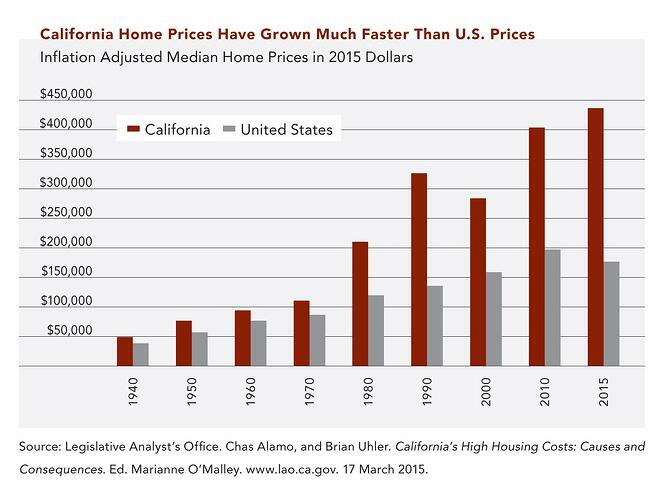 Particularly in California, housing prices have grown at a fast rate, and since the 1940s, California home prices have risen more quickly than the U.S. average. While in 1940 the average California home cost about 20% more than the average U.S. home, by 2015 the average California home cost 250% more than the average U.S. home. Given this trend, many of our clients and particularly those in California have experienced tremendous long-term appreciation in their homes. Homeownership may represent a substantial part of an individual or family’s balance sheet. At Clifford Swan, we understand that your financial life extends beyond the portfolios we directly manage. The investments we make take into consideration your entire financial picture, as does the counsel we provide. As always, we recommend consulting a tax professional regarding your unique situation, but in broad terms, this article is meant to explore some of the tax guidelines that both inform our advising and decision-making when it comes to questions about real estate. By way of background, owning a primary residence has long offered tax advantages. One of the best known benefits is the mortgage interest deduction. With certain limitations, homeowners are able to reduce their taxable income by the mortgage interest paid, provided that the loan is secured by the principal residence. Furthermore, upon the sale of your primary residence, taxpayers may qualify to exclude a very significant portion of the realized capital gain, if relevant, from their taxable income. In other words, if you sell your home at a profit the capital gain exclusion may allow you to shelter some or all of that profit from tax. Up to $250,000 for individuals and $500,000 for married couples filing jointly may be excluded from your taxable income if certain conditions are met. First, you must have owned the home and used it as your residence for at least two out of the previous five years before the date of sale. The two year (or 24 month) requirement does not have to be fulfilled in a single block of time; the 24 month threshold is cumulative. Second, the home must also qualify as your “main home,” meaning that, if you own multiple homes, the most important factor (among others) is where you spend the majority of your time. This provision is not for personal use, so it will not apply to your primary residence. Otherwise, the definition of “like-kind” property is fairly broad. For real estate investors acting within certain guidelines, a 1031 Exchange can prove a powerful tool in lowering taxable income. Turning back to primary residences, and specifically to those in California, there are a number of state propositions that may significantly reduce tax obligations as well. Passed in 1978 as an amendment to the California Constitution, Proposition 13 established the concept of a base year value for property tax assessments. If your property has not changed ownership or has not had new construction since Proposition 13’s passage, it received a base value rolled back to 1975. Otherwise, when property changes ownership, it is reassessed at current market value, establishing a new base year value for both land and improvements. Partial changes in ownership result in changes to the base year value exclusively for the portion of the property affected, where ownership has indeed changed. New construction also causes adjustments to the base year value. The base year value concept is crucial because it establishes a floor from which your property tax increases are limited. First, under Proposition 13 the assessed value of the property may not increase by more than 2% each year (in the absence of ownership changes or new construction). Second, the property tax rate itself is limited to 1% of the assessed value. In reality, many California property owners actually experience tax rates above 1%, due to additional taxes approved by voters in different localities. However, Proposition 13 is clearly helpful in limiting tax obligations for California homeowners, particularly in the context of the significant increases in home prices that have occurred. There are a number of California propositions that build upon the foundation of Proposition 13, which can be extremely beneficial especially for clients in or approaching retirement. 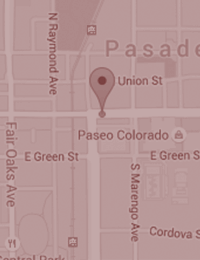 Proposition 60 allows for the transfer of base year values between properties. In other words, when selling a home and buying another, you may be able to retain the first home’s base year value and transfer it to your next. This may be helpful where Proposition 13 has limited the increase in your home’s base year value to less than the increase in home prices and, in particular, to less than the market value of your next property. To take advantage of Proposition 60, you or your spouse must be at least 55 years old when the original property is sold. The replacement property must become your principal residence and must be of equal or lesser market value than the original property. Therefore, Proposition 60 only works when an individual or couple is trading down in terms of market value. You are allowed a window of two years (before or after) the sale of your original property to purchase the replacement. Most importantly, this is a one-time benefit. Proposition 90 offers the same benefit as Proposition 60 except it allows for the transfer of base year values between properties in different counties within California. Proposition 60 offers an intra-county benefit within all California counties, while Proposition 90 is for inter-county transactions. 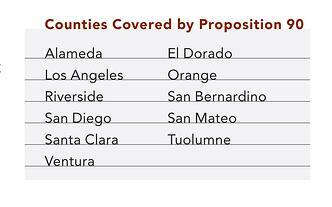 Not all California counties will accept inter-county transfers, so Proposition 90 currently only applies to replacement properties purchased in the counties listed below. California propositions even assist with some intergenerational tax concerns, to the extent that they allow for the transfer of base year values between generations. Proposition 58 excludes from tax reassessment transfers of real property between parents and children in certain circumstances, as does Proposition 193, in this case between grandparents and grandchildren (if the intermediate generation, the qualifying children of the grandparents, are deceased.) Both propositions allow for primary residences to be excluded from tax reassessment, along with up to $1 million of real property other than primary residences, applying separately to each eligible transfer. In other words, next generation property owners can avoid tax increases when acquiring the property of their parents or, in some circumstances, their grandparents. Importantly, it may not always be beneficial to forego tax reassessment, particularly in a declining market. Finally, it’s crucial to separate reassessment for tax purposes from any adjustments in cost basis that may occur when inheriting property. They are distinct values, not to be conflated. Understanding the intricacies of the tax code is a job for tax professionals with an acute grasp of your individual circumstances and the rules that govern them. Importantly, there are certain exceptions to the rules mentioned above that are beyond the scope of this article but that may apply to you (for example, disability often results in differing eligibility requirements when it comes to tax benefits). However, it’s also clear that information is key in real estate decision making and investing, and the knowledgeable investor is at a significant advantage. To the extent that we can assist you with your wealth planning and real estate needs, please do not hesitate to reach out to your Clifford Swan Investment Counselor. Was the Fourth Quarter Really Just a Glitch?